How exactly did this come about? Because of this nightmare, you have been extensively interviewed in Australia, the USA,the UK, Europe, The Middle East and Asia. Has this been through all forms of media? Can you please tell us a little bit about this? And the Government now will not compensate you. What is their reasoning for this? You also have many other skills. What exactly are they? You are also a songwriter for the group ‘Mad Cowboy Disease’. How long have you been doing this for? Do you write all the songs for the group? Do you also sing and/or play an instrument? You have many other interests as well. What do you enjoy doing in your ‘spare’ time? What are your short and long term goals for the future? 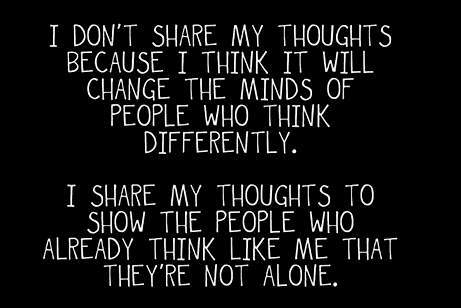 Is there anything further you would like to add to this to share with the world? I am a W.A.S.P. 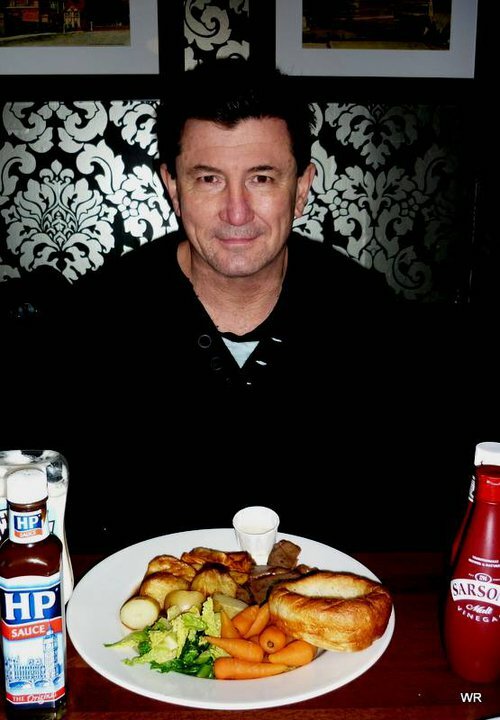 (White Anglo Saxon Protestant), born on 16th June 1958 at Inglemere Private Hospital in Homebush, a suburb of Sydney, famous these days for the Olympic stadium. My mother often claimed, in all seriousness, that my father (deceased 1990) never paid the hospital bill. My ancestry is British, with the first of my namesake forebears being transported in 1838 from Salisbury, Wiltshire, England at the age of 19 to Hobart, Van Diemen’s Land (Tasmania) for stealing five silk handkerchiefs. After emancipation, David Rodwell and his young family (including my great, great grandfather David Cornelius Rodwell) followed the gold rush to Victoria. In the early 20th Century, David’s grandson (my great grandfather Samuel Richard Rodwell) pursued the lure of gold in western New South Wales, where he subsequently coughed himself to death through years of labouring in coal mines and a cement works. His son (my grandfather Stephen David Cornelius Rodwell) and bride, along with their three primary school age children (including my father, David Richard Rodwell, who later became a bricklayer), moved to Sydney during the Depression years. At the start of World War II. Stephen enlisted in the Australian Army. However, his marriage did not survive afterwards. My mother, Ellen Scott, had served in the Royal Australian Air Force (RAAF) during WWII. Her family and free settler English/ (paternal) Scottish grandparents hailed from the New England region of northern NSW. Ellen’s father and grandfather were government railway employees during both world wars. My parents were keen dancers. This is how they met in the early 1950s in Sydney. I have an older brother and sister, with whom I have intentionally maintained relatively close and continuous contact with over the years. Our mother suffered with serious physical and mental health problems. She split up with our father and firstly placed us in St Christopher’s (Church of England) Home for Little Children, Taree NSW when I was 18 months old. Most of my formative years were in institutional Protestant care. There has been media mention in recent years that I was a ward of the state. This is not correct. We were placed voluntarily in church care due to family circumstances, ill health and poverty. In fact, the official title given to children of that era/scenario is “The Forgotten Australians” (FA). A national apology to some 500,000 FA’s (including voluntary placements, state wards and British child migrants) was given by the then Prime Minister, Kevin Rudd and Federal Opposition leader, Malcolm Turnbull, on 16th November 2009. On 23rd May 1965 (approximately three weeks before my seventh birthday), Ellen Rodwell (nee Scott) managed to get us out of Burnside Presbyterian Children’s Homes in North Parramatta (Sydney) once she was able to secure a centrally located two bedroom State Housing Commission flat in her hometown of Tamworth NSW and an invalid pension. Two pounds (four dollars) was all she had in the first month. There were no supporting parent benefits or community support programmes at that time. Coincidentally, Ellen Rodwell died (at age 55) 16 years later on the same day – 23rd May. The causes of death were recorded as: i) acute heart failure (days); ii) emphysema (years); iii) ulcers (years) and iv) malnutrition (years). Her demise can only be regarded as nothing less than a merciful release. The inscription I created for her cemetery plaque reads, “The suffering is over, but the pain lives on for those who remember our ever-loving mother”. Tamworth West Public School was diagonally across the road from us. Classroom learning and after hours study captured my young imagination and suited the quiet home environment my sick mother required. A few years earlier, at the age of four in church homes, it was noticed that I had not started speaking. Apparently, my speech was undeveloped. My siblings and I were in different age groups and church homes and I didn’t really have anyone to talk to anyway. I attended speech therapy whilst in third and fourth grades, absorbing myself in as much formal education as I could. Here was a field of endeavour, in which I was free to research, ask questions and explore to my heart’s content. For most subjects, I was placed in classes two years ahead of my age. By the end of primary, I was school dux and vice-captain making public speeches (on auspicious occasions, such as ANZAC Day and Easter), as well as a recipient of a bursary for the first four years of high school. Swimming (and sunbaking) at the town public baths was my preferred sport/pastime during summer. Any coastal vacations were relished. Playing and tackling as a rugby league second rower during winter, provided me with camaraderie and some useful strategic skills and attitudes for life. We did not have a family car, so the main modes of transport available were walking or bike riding. My older brother introduced me to cycling as an interest and sport. By the age of 12, all seemed stable, even dandy, until my mother’s health deteriorated further. She suffered greatly through intense bouts of loneliness and depression, accompanied by a nasty addiction to prescribed medication. My siblings had already left school and home, and were working. For the first six months of high school, I was placed in the notorious Salvation Army Gill Memorial Home for Boys in Goulburn NSW. Even though the privileges of being No. 1 or head boy were extended to me, I absconded and returned to what I regarded as my hometown, attending Tamworth High School. Over the years since then, the city of Tamworth has become known as the “Country Music Capital of Australia”. After leaving school, I gained employment with the NSW Railways, completed relevant specialized studies, performed platform and clerical duties in the telegraph/parcels/booking offices and goods shed on the mid north coast, before relocating to the metropolitan network in Sydney. A few months prior to turning 20, I voluntarily enlisted in the Australian Regular Army. This was during peace time. My mathematical/analytical abilities saw me initially allocated to the Royal Australian Survey Corps (map making). I later transferred to the Royal Australian Engineers corps and trained as what is now referred to as a combat engineer (roads, bridges, airfields, trenches, water supply, booby traps, minefields, explosives, firefighting and first aid). With the rank of sapper; ingenuity, resourcefulness and improvisation were the signature key characteristics. Upon discharge from the military, my sights were focused on gaining formal tertiary qualifications and hands-on managerial experience in business (finance, property, conveyancing and insurance). As I successfully climbed the corporate ladder, I realized that I did not possess any excessive levels of greed. My conscience steered me away from the commercial world into personal counselling roles, particularly those burdened with monetary concerns, much the same as my own mother, who had spent hours alone crying at night over the kitchen table. My first wife was from a different part of Australia to me. We met in Brisbane. Our three children (two sons and one daughter) are now adults leading their own independent lives elsewhere. At the turn of this century, I reassessed and reinvented myself by studying computers (hardware, software, internetworking, website design), thinking such skills would assist when moving abroad as an expatriate. There is no doubt that computer technology has played a significant role for me since hand. Travel always appealed to me. Apart from broadening the mind, I felt that moving away from Australia and living as an expatriate for an extended period would allow me to better understand myself, the world and others. I had already circled the globe once, so I wasn’t venturing into the total unknown. At the age of 44, I challenged myself with climatic, linguistic and cultural shock by accepting an English teaching role in socially isolated provincial northern China. You could say that I did the hard strokes and paid my vocational dues there. The next natural step was to do formal training in Thailand the following year in teaching English as a foreign language (TEFL). I returned to mainland China afterwards via India, Nepal and Tibet. Better familiarizing myself with the demographics of the People’s Republic, I accepted full time government university teaching jobs in preferred locations. The language departments/faculties taught business, culture, linguistics and literature. Business communication and culture were always my favourites, but I was also introduced to journalism by being given it as a subject to teach for a couple of semesters. Please bear in mind that my students were often post graduates (aged 22 -30) proficient in English as a second language. Chinese professors shared my philosophy that the purpose of education is to produce enlightened minds. Academia suited me well. Vacation breaks were frequent and lengthy, so I was able to travel extensively, domestically and worldwide. To date, I have been to fifty countries in Asia, Europe, Oceania, South America, the Middle East, and United Kingdom. Extra curriculum opportunities were often presented to me when contact was made from within and outside the universities that I was associated with. These included judging and compering national English speaking, singing and acting contests; attending official banquets and conferences; writing/editing for newspapers and magazines; involvement as an honorary envoy for the local state association for friendship with foreign countries; collaborating with the production, promotion and distribution of a hardcover publication of a book designed as a comprehensive guide to the culture of Sichuan province in the southwest of China; as well as doing interviews for radio, television and printed media. Separately, military history intrigued me, so my travels also included Changi Prison and The Battle Box in Singapore; The River Kwai and Death Railway in Thailand; The Killing Fields in Cambodia; The War Museum in Vietnam, The International Peace Centre in Japan and Auschwitz Extermination Camp in Poland. Having been raised in church homes, and being part of a generation that considered Sunday School to be beneficial and normal, I have been able to travel, work, live and interact in societies with different and mixed religious perspectives (Agnostic, Buddhist, Christian, Hindu, Islamic, and Judaism). My most significant voluntary stints to date include teaching English at a Buddhist University in Myanmar (Burma) to monks and local laypeople, plus participation in an education development programme in South America through the United Nations. In 2009–2010 (aged 51), I returned to Australia for the best part of a year with the intention of completing a course in peace building for the troubled small nations of the Pacific Islands and South East Asia. Dates did not coincide and course structures appeared to have changed. Alternatively, I enrolled in a Christian counselling course at an evangelical college, which was once one of the children’s church homes I had lived in almost half a century earlier. I determined that if counselling fell between the two stools of psychology and theology, then my own personal leaning would be towards humanitarianism. I subsequently did an external Diploma of Community Services (Financial Counselling) over the span of eighteen months through another education provider. However, government funding cuts drastically affected the (NGOs) non-government organizations providing such service to the general public. An interest in anthropology had developed within me over the years of living in the world at large. Human migration patterns and cultural influences became more obvious. The latter part of 2010, I commenced teaching English at a medical college in the province of Inner Mongolia, northern China. Figuratively speaking, the world had turned by the start of 2011, and I was at a stage of life contemplating my future. Well, at least for the next five to ten years. Before departing South America in 2009, I had been learning Spanish. I did Latin in high school, so reading Romance languages was not really of concern. The quiet stage of learning another language was passing. I had begun thinking in Spanish, but I wasn’t ready then to totally leave the English-speaking world. Allowing for seasons, a flight valid for one year was booked from Shanghai to the United Kingdom as a gateway to South America. With spare time up my sleeve, I visited South Korea and the Demilitarized Zone (DMZ). The northern winter had been long and I craved some warmth. My life changed completely when I next travelled to The Philippines. 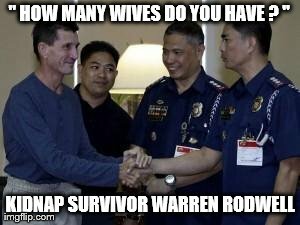 Makakaapekto ba ang Señor Rodwell kailanman maging katulad? Warren Richard Rodwell (born June 16, 1958  Homebush NSW)  a former soldier  in the Australian Army, and university English teacher, grew up in Tamworth NSW  He was shot through the right hand when seized  from his home at Ipil, Zamboanga Sibugay on the island of Mindanao in the southern Philippines on December 5, 2011  by Abu Sayyaf (ASG) militants. Rodwell later had to have a finger amputated. The ASG threatened to behead Rodwell  if the original ransom demand for $US2 million was not paid. Both the Philippine and Australian governments had strict policies of refusing to pay ransoms. Australia formed a multi-agency task force to assist the Philippine authorities, and liaise with Rodwell’s family. A news blackout was imposed. Filipino politicians helped negotiate the release. After the payment of $AUD94,000  for “board and lodging” expenses  by his siblings, Rodwell was released 472 days later on March 23, 2013. The incumbent Australian prime minister praised the Philippines government for securing Rodwell’s release. Tribute was also made to Australian officials from the Department of Foreign Affairs, the Australian Federal Police and Defence. Rodwell subsequently returned to Australia. As part of the 2015 Australia Day Honours, Australian Army Lieutenant Colonel Paul Joseph Barta was awarded the Conspicuous Service Cross (CSC) for outstanding devotion to duty as the Assistant Defence Attaché Manila during the Australian whole of government response to the Rodwell kidnap for ransom (and immediately following, the devastation of Typhoon Haiyan). At the 2015 Australian Federal Police Foundation Day award ceremony in Canberra, fourteen AFP members received the Commissioners’ Group Citation for Conspicuous Conduct for their work in support of the Philippine National Police and Australian Government efforts to release Australian man Warren Rodwell. 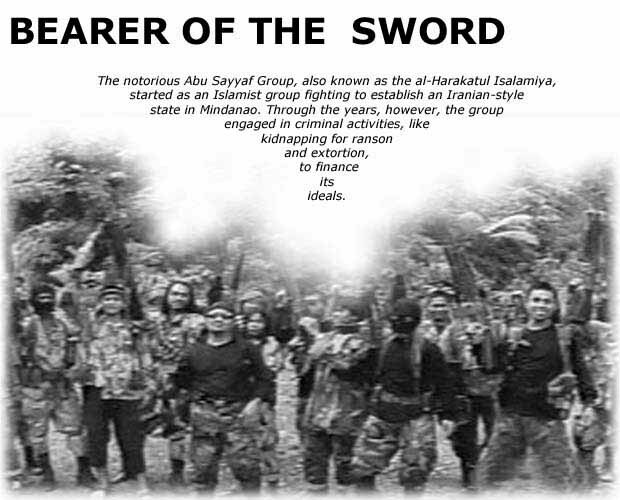 In January 2015, Mindanao Examiner newspaper reported the arrest of Barahama Ali  kidnap gang sub-leaders linked to the kidnapping of Warren Rodwell, who was seized by at least 5 gunmen (disguised as policemen), and eventually handed over or sold by the kidnappers to the Abu Sayyaf in Basilan province. 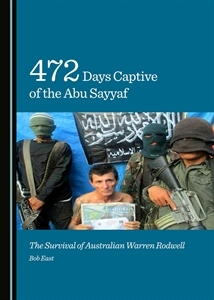 February 2015 ‘Book of the Month’ is 472 Days Captive of the Abu Sayyaf: The Survival of Australian Warren Rodwell by Bob East. With global terrorism on the rise, and the sinister increase in the taking of hostages by terrorist organisations, this book is particularly timely – making for essential reading across a range of disciplines, and for the general interested reader. 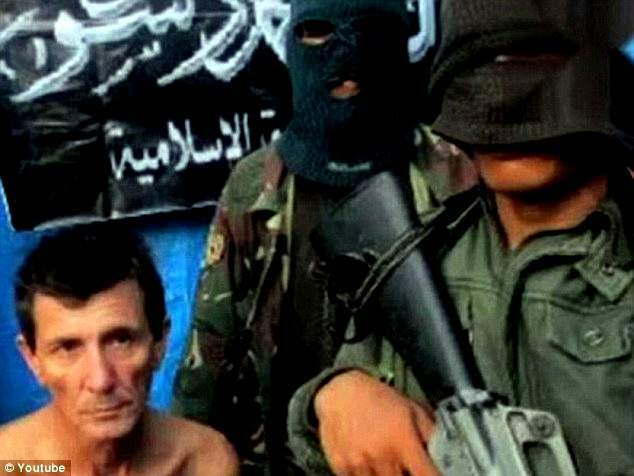 Documenting the kidnapping of Warren Richard Rodwell, an Australian university teacher and ex-member of the Australian Army, by a notorious terrorist/insurgent organisation, the Abu Sayyaf Group, the book describes a remarkable tale of survival. Held captive for 472 days in various jungle hideouts in the islands of Basilan and Tawi-Tawi, Rodwell endured an untreated gunshot wound and an almost starvation diet, losing over one third of his body weight. When he was finally released in March 2013, he was emaciated, physically and emotionally at the lowest point in his life, and totally bewildered. During his period of obligatory debriefing by both Philippine and Australian authorities, an amazing tale of perseverance unfolded. Rodwell’s determination to overcome all obstacles in his path to eventual freedom is the quintessence of all that is dear in life – life itself. 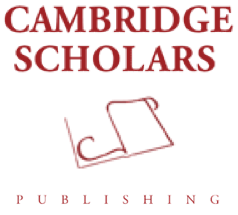 Cambridge Scholars Publishing are offering all of their readers a generous 60% discount on this best-selling title. To redeem your discount, please enter the promotional code BOMFEB15 during checkout. 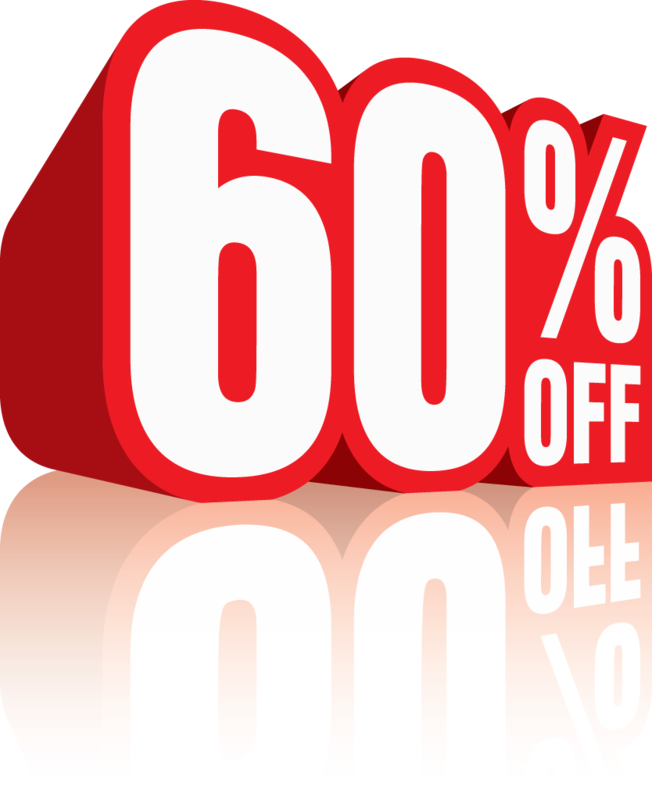 Please note that this is a time-limited offer that will expire on 8th March 2015. 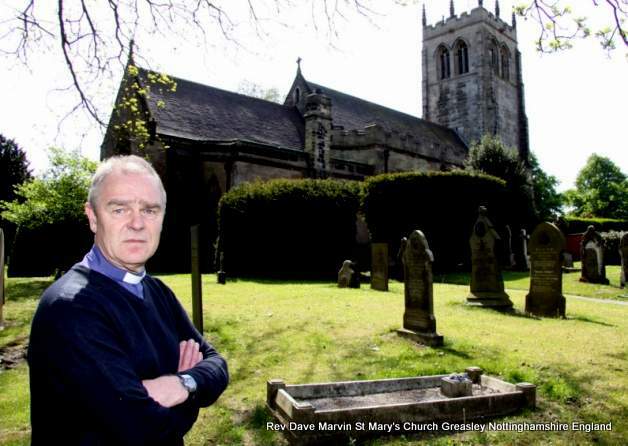 The Rev Dave Marvin, of St Mary’s Church, Greasley, Nottinghamshire, England speaks about wrong expectations and facing disappointment. The other day I came across this story. After five years, a psychiatrist told his patient that he seldom uses the term “cured” but he was pleased to announce that she was completely cured. To his surprise, the patient became disappointed. The doctor asked, “What’s wrong? I thought you would be thrilled to know that you were cured”. The woman replied, “Doctor, look at it from my point of view. Five years ago I was Joan of Arc. Now I am nobody”. This is a woman who was disappointed because she thought/expected to be someone who she clearly wasn’t and wasn’t happy when she faced the reality of her situation. That’s why many people face disappointments today; they have the wrong expectations. As a result, they face more and more disappointments and don’t really know how to deal with them. 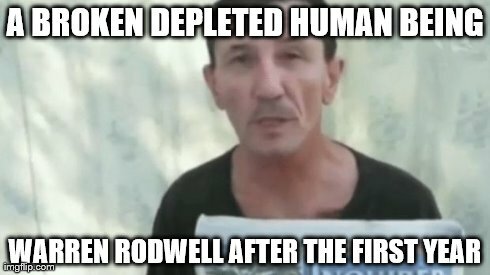 I read an article written by Warren Rodwell who had been held hostage by a terrorist group and had featured in a number of ransom videos. He told Daily Mail Australia he became more compliant after he lost hope. “Whatever someone wants, you give it to them”, he said. Our Lord Jesus suffered unthinkable horrors at the hands of his captors and was killed in one of the cruellest forms of execution imaginable. We know that he suffered both physically and mentally. The Bible tells us that before his death Jesus said, “My soul is overwhelmed with sorrow to the point of death”. We’re also told that in his anguish he prayed earnestly and his sweat was like drops of blood falling to the ground. But his death opened up immense opportunities for us and gave us hope even in our darkest of times. It’s up to us to accept the light of Christ, to accept those opportunities and use them to bring Christ’s light into the lives of those who are living in dark times, seemingly without hope. Because ‘Once you lose heart, you lose hope’; I pray that it won’t be the heart of Jesus and the hope that he brings. A body is animated by the soul. Jesus’ body was no different, except that it was both fully human and fully divine: there wasn’t a “human part” and a “divine part”. As his whole nature was fully human and fully divine, it follows that his soul was both fully human and fully divine as well, for he could not be the Word Incarnate without the Word being part of all of his incarnate nature. No one knows exactly how old Jesus was when he died on the cross, but he was probably 33 years of age. This could naturally lead one to wonder, in human terms, if Jesus was twenty years older (Warren Rodwell was 53 at the time of his capture); would Jesus have matured more in his worldliness and outlook, and not be so grief-stricken (sorrowful) up to the point of his death? Perhaps, someone well-versed in the Bible (such as Rev Dave Marvin, himself) might be able to provide some insight into this scenario. Touching sentiments, Reverend Marvin.There is a biography / book published by Cambridge Scholars Publishing “472 Days Captive of The Abu Sayyaf – The Survival of Australia Warren Rodwell” by Dr Bob East. It would seem that Rodwell had also been overwhelmed with sorrow to the point of death. He mentions prayer, but probably self awareness and humour sustained him most of all. Reclining on the couch, relaxing after a long day and my mobile phone unexpectedly rang. I checked the time, and saw it was 10pm and noted the incoming call was from an unknown number. I wondered who could be calling me this hour. 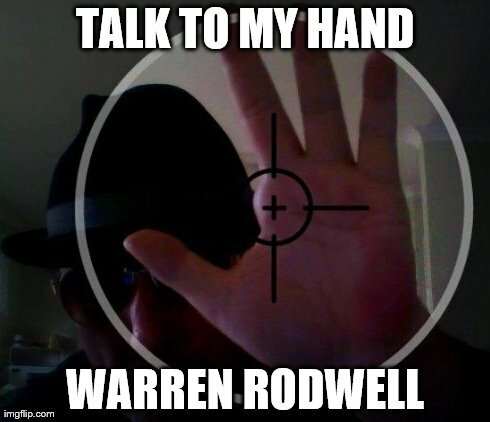 I answered and to my astonishment I found myself talking to none other than Warren Rodwell (long time kidnap victim of the Abu Sayyaf terrorist group in the Philippines). I had previously contacted Mister Rodwell inviting him to join Expats Association in an honorary administrative capacity. This particular evening, he confirmed that he had received my latest message advising that Expat Association had just been granted charity status in Australia, and that I wanted to talk to him by phone. As founder of Expats Association, I found myself no longer able to be tired, Warren Rodwell had my captivated attention as the next four hours unfolded with the telling of his detailed kidnapping and his experiences he had as a hostage. The instant impression I got was Warren is an intelligent, articulate and worldly man. On the 5th of December 2011, Warren’s sister received a call – not from Warren, but from the Australian Embassy in Manila, calling to inform her that her brother had been kidnapped and taken hostage by the Abu Sayyaf terrorist group. They were making demands of USD$2 Million for his release or he would be beheaded! Our discussion turned to the lead up toward these events and it became apparent that the cause of Warren’s problems started with his then wife. Unfortunately a familiar story that I personally have heard time and time before. The all-too-familiar story of the foreigner falling for a Filipino woman and slowly but surely, events unfold like a mirror image of other similar stories told from Australian Expats. Warren Rodwell makes it clear, “My wife did not set out to cheat me.” However his much younger wife seemingly began to try to manipulate her husband with daily monetary requests for her and her family; the “urgent needs” blown well out of proportion. After a short time, for someone of Warren’s age and experience, he realized he was being had. Upon my prompting, Warren recited with bitterness all the details that led up to his capture. How after his wife didn’t get her way, she started having hysterical outbursts. How she was then guided and persuaded by friends and family to make baseless police blotters about him. He described the contempt by which he was subsequently treated by Philippine officials due to him being an “arrogant” foreigner. 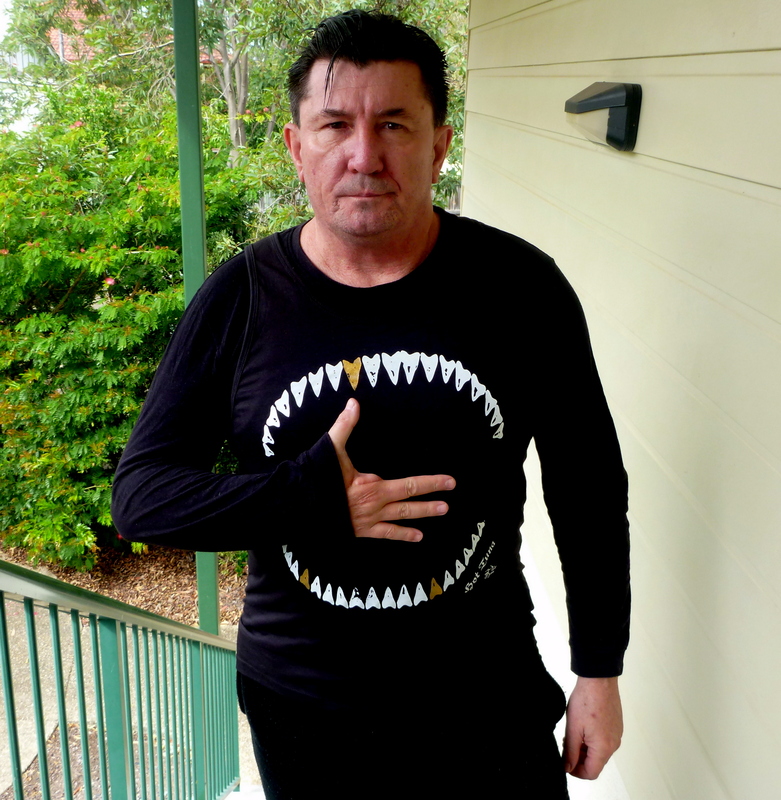 He tells of the threats he received to report him to Philippine Immigration and the Australian Embassy to have him deported – after having bought land and built a new home upon it. Warren for all his worldly experience as an Expat, was consumed with minimizing his potential financial loss, and rather “naively” continued his crash course in what was ultimately a clash with this peculiar culture. He stood his ground, he felt he had done nothing wrong, and as a mature educated and seasoned international adventurer, he knew his rights and stood firm when falsely accused. He separated with his wife who then returned home to her family. The family of Warren’s Filipino wife lived some eight kilometers away (in Naga village, Zamboanga Sibugay Province – western Mindanao) from where he built their matrimonial home at Pangi, a barangay/suburb of the provincial capital of Ipil. 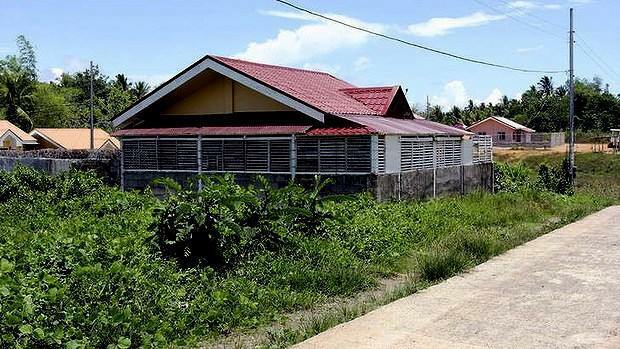 Interestingly enough, the new house was situated within easy access (mere minutes) of the provincial police headquarters, a state-owned airstrip, and a longstanding permanent combative base for the Armed Forces of the Philippines. The new subdivision was next to a large public high school and most of Mister Rodwell’s neighbors were government employees (teachers, nurses, police and soldiers). The area that Warren was in was locally regarded as being a safe Christian area. However his wife’s Christian dominated and controlled village was split into two parts. The “no go zone” being a Muslim stronghold – a base for militant Islamic groups, including the extremist Abu Sayyaf terrorists. Warren Rodwell previously felt secure and was assured by his wife, local residents and officials that they were residing far enough away from any danger. Warren tried to create a quiet, simple and modest lifestyle. 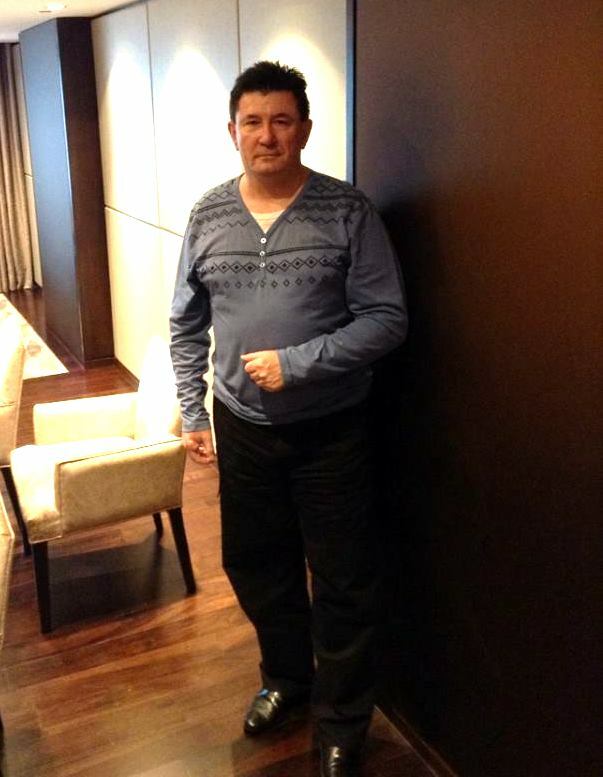 He does not drink alcohol and did not go out at night. Before long however, hints of danger became apparent in the form of threats. Warren, who had already invested heavily in the area with the building of his home, chose instead to fortify his house instead of leaving the area altogether immediately. He didn’t want to abandon the property until it was at least at lock up stage, and well secured in his absence. Heeding advice from provincial police headquarters during a high risk terrorist alert for the entire province, Warren Rodwell left the region for one week. He had already commenced constructing tall concrete block walls with barbed wire to prevent entry. In Warren’s eyes a man’s home is his castle, and he had seen many similar homes so fortified in this manner. On safe return to the house, Warren Rodwell fiercely determined to complete this building (investment) project within a realistic and manageable timeframe, constantly supervised, trained and physically labored with his personally selected local hired workers. In hindsight, it could be argued that choosing to live in his own home blinded him to the equal determination shared by the Abu Sayyaf terrorist group. It was a race against time. Two more weeks and all work would have been completed. Warren underestimated the overlapping links his wife, peasant workers and others shared to the group. 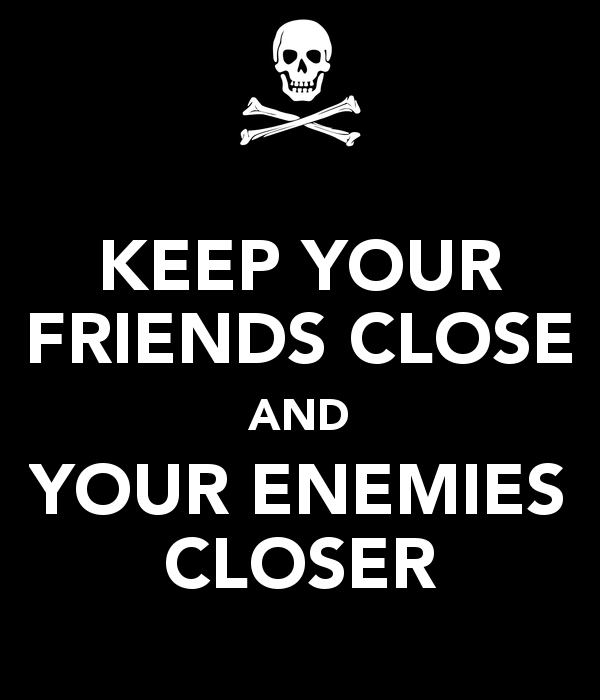 A matter of discretion and trust. Following a long day of adding finishing touches to the house, at dusk Warren heard a loud bang as his fortified gate was forced open and he was faced with heavily armed men identifying themselves as police. Within seconds Warren Rodwell was stuck in between them and the walls that fortified his home. With nowhere to go, a nervous gunman fired a shot from his military rifle – the bullet driving straight through Warren’s hand. They then handcuffed him and dragged away through the swamp lands in the dark, bleeding, confused and in pain. Thus began of the story of personal resilience and the stubborn survival of Warren Rodwell. For the next 472 days of captivity (the longest any Australian has endured outside wartime) he was confined in small spaces he could barely move in and hidden from sight. When I asked why they needed to confine him, Warren replied, “Who were they hiding me from?” The answer of course became apparent… He was being kept out of sight from EVERYONE! Warren relayed more of the story of his miraculous survival, asserting that luck had nothing to do with it. At times it became so emotional I could hear in his voice how he held back anguish with the memories still hauntingly fresh in his mind. 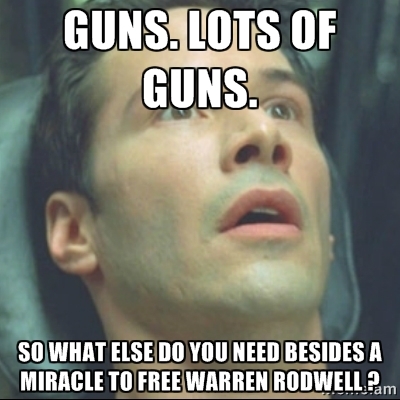 Warren Rodwell stated succinctly he seeks no sympathy. The keys to Warren’s survival became clear. His strategy was to befriend his captors, with his typically Australian sense of humor. Given time, his exceptional leadership skills saw him take control of his captors, mentoring them in some ways and even abusing them emotionally in others that left them in fear of him and in tears at times. It was a fascinating and enthralling account that leaves me in anticipation of reading the soon-to-be-released book detailing his story. 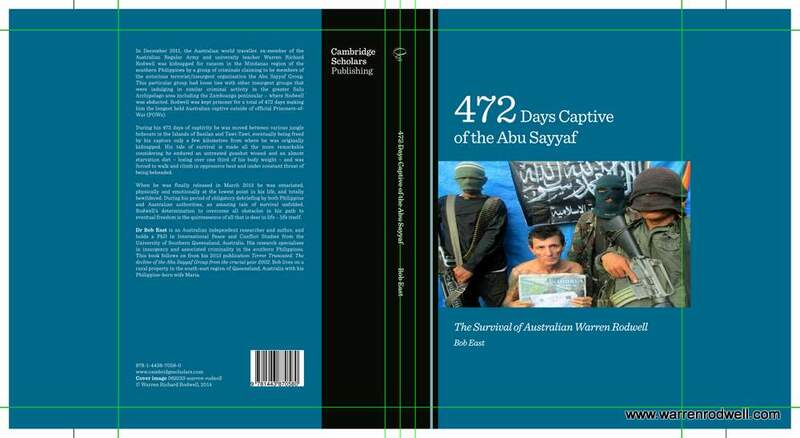 His biography “472 Days Captive of The Abu Sayyaf – The Survival of Australian Warren Rodwell” written by independent researcher Dr. Bob East is due to be released late 2014 by Cambridge Scholars Publishing, United Kingdom. 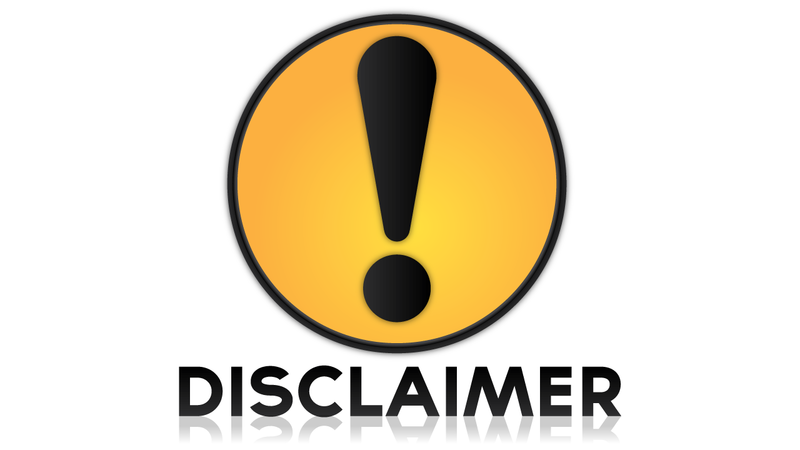 Mr Warren Rodwell generally does NOT endorse associations, charities or religions. He prefers to maintain autonomy and impartiality.